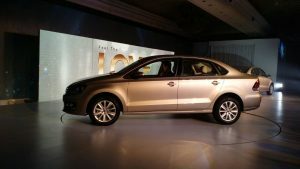 Volkswagen Vento With LED Headlamps Spied in India! 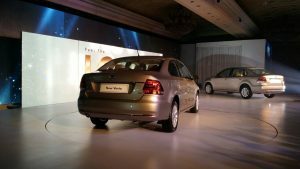 The VW Polo-based Vento sedan got a minor nip and tuck just last year and it seems VW will roll out another update soon! 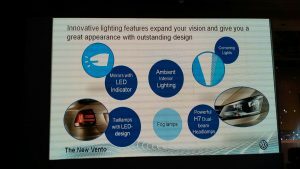 Yes, these image that you see here is, in all probability, of the 2016 Volkswagen Vento facelift, which will feautre LED headlamps with LED DRLs. Also, we’re expecting a handful of minor cosmetic changes, along with some additional equipment inside the cabin. 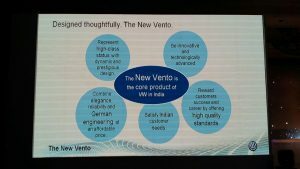 The Vento sedan has been facing quite some heat of late, what with the advent of the Maruti Suzuki Ciaz and the ever-improving sales performance of the formidable Honda City. 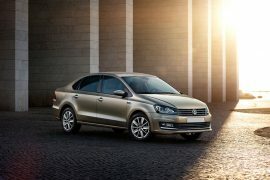 Hence, VW could attempt to infuse some freshness to the fast-aging sedan with the addition of new features, all in a bid to rekindle the car’s performance on the sales charts. 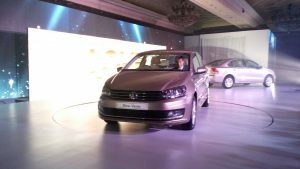 Here’s more info on 2016 edition and the current Volkswagen Vento 2015 model. 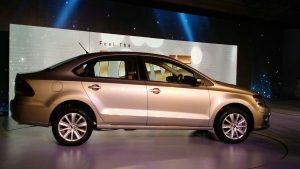 Volkswagen India might launch the Volkswagen Vento 2016 model pretty soon, possibly by the end of the first quarter of 2016. 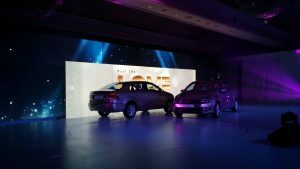 We expect the LED headlamps to be offered with only the top spec Highline trim, which could cost a little bit more than the current halogen headlamp equipped Vento Highline. 1.5-litres, four-cylinder, turbocharged diesel engine with max. power of 105PS and peak torque of 250Nm. 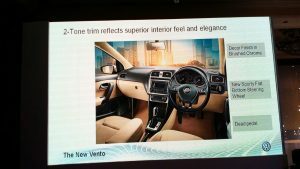 Transmission options include a 5-speed manual and a 6-speed DSG. 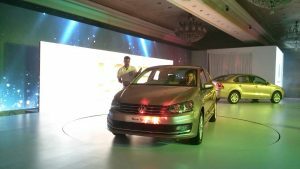 1.2-litres, four-cylinder, turbocharged, direct injection petrol engine with max. power of 105PS and peak torque of 175 Nm. This engine comes mated with a 7-speed DSG. 1.6-litres, four-cylinder, normally aspirated petrol engine with max. power of 105 PS and peak torque of 153 Nm. 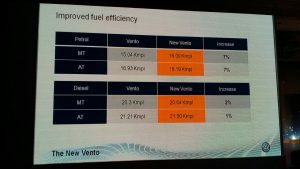 This engine comes mated with a 5-speed manual transmission. 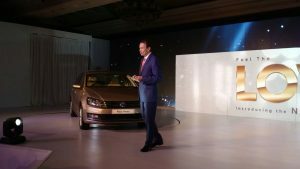 Stay tuned to CarBlogIndia for more on the Volkswagen Vento 2015 model (facelift).